« Flipping off a judge is ok…. right? This was a first for him. For his entire life he has wanted to be in the military and as far back as I can remember he has been crawling on the floor hollering orders to his make believe teammates, hiding from enemies around corners of the house and bringing home library books about the World Wars instead of sports like the other kids. I’ve envied him for knowing what he wants in life and sticking to it at such a young age. Something that was actually attainable… unlike my dreams of becoming Cinderella. I never imagined he would sway from his original dream. Ever. As a parent you want your children to strive for the unimaginable and dream big all the while trying to shelter them from the impossible in order to prevent disappointment. It’s a fine line to walk and I sat there searching for the words I should say to him. He was serious about this. 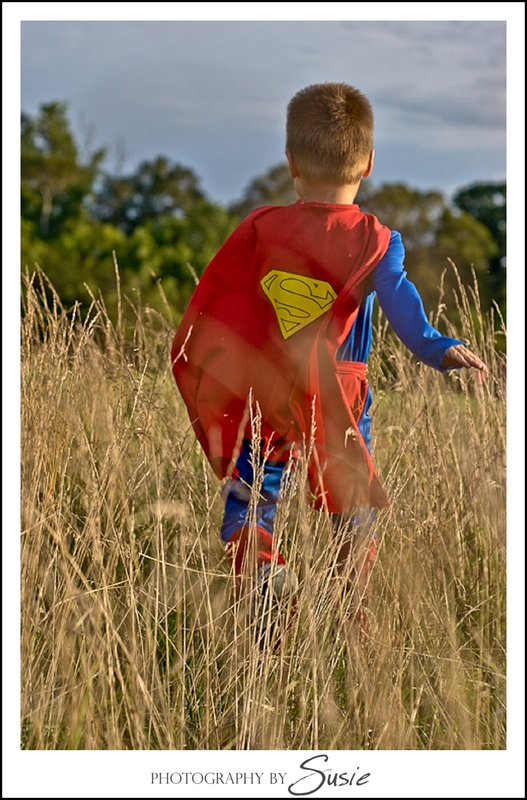 Just as determined as my youngest was at four and his want to be Superman. It was just easier at the young age of 4 to go with it. My brain went into protective mode as I sifted through my thoughts trying to figure out a way to let him down easy without breaking his spirit. My heart dropped and my body filled with sorrow. It took me back my childhood and the moment I realized that my princess dream was just that… a dream. I sat there scolding myself for my previous thoughts… when the next words out of his mouth amazed me. I didn’t see that coming. Not in a million years. He didn’t think twice about his capability of playing in the big leagues… what gave me the right to? I have a lot to learn from my 11 year old. So many times we focus on what we are teaching them that we forget to see how much they teach us in return. “Well of course Mom!” he said. ‘Of course’… there was no question. It was a given. I may become Cinderella one day after all. Hi, I really love your blog! I’m contacting you because I’ve written a book entitled Never Marry a Momma’s Boy: and 62 other men to avoid like the plague, and I am hoping to get the word out about my new book! You can guess that this book is about types of men that women should steer clear of at all costs. It is a funny and smart read that I’m really proud of! If you would be interested, I would be thrilled to write a guest blog on your site. Please feel free to contact me at susanconner99@gmail.com. Thank you for your time! You’re blog is like biting into a really sweet and pretty truffle, to find a rich, silky, inside that makes you want more than one. There is so much more to you than meets the eye young lady. Keep it going. Love’n it. Loved this post. You have a way with words that’s truly enviable. Have you ever thought of writing a book? I think you’d churn out bestseller after bestseller. About your son: nothing is impossible. You need to believe in his dreams even when you have doubts. There’s nothing as endearing as the support you get from your parents. I have a feeling he’ll do amazing things in his future. Thank you for your comment. Im humbled as to what to say and flattered by your compliment. Thank you! I am currently working on a book with the goal to have it in print this year. 🙂 And you are right…believing even when there are doubts is so important. I believe my son will do great things as well!